You'll love displaying this Oakland Raiders Raschel Blanket, which features a licensed Oakland Raiders logo and football helmet, this throw makes the perfect gift for any fan. These 60”x 80” throws are also vibrantly colored to match your favorite NFL team’s colors—making it perfect to use as an accent for your bedroom or living room or to cuddle with while watching the game. 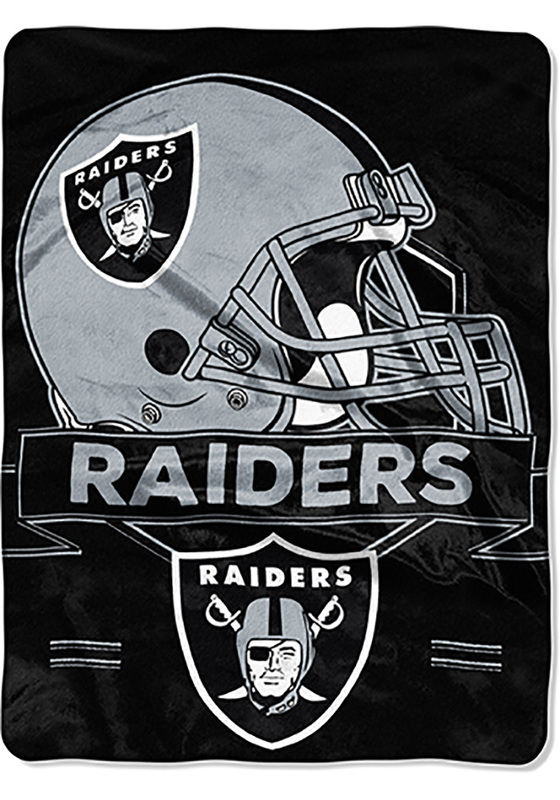 This Raschel Blanket will keep you warm at home or cheering on your Raiders from the stands.